Ultimate Curling Lash Mascara by Blue Water Naturals! 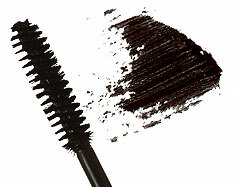 Curling Lash mascara has a wand and formula specifically designed for curling lashes and adding rich color. Goes on smooth with the included brush for easy, no mess application. No smudge, no run - just full, long, sophisticated lashes. Normally only available in salons, you can order direct from Blue Water Naturals!